Liverpool maintained their top-four pursuit with a hard-fought 2-1 victory over Burnley at Anfield on Sunday afternoon. The visitors took an early lead as Ashley Barnes diverted Matthew Lowton’s low cross beyond Simon Mignolet after just seven minutes. The Reds drew level via Georginio Wijnaldum with the final act of the first half when he lashed a loose ball inside the area into the back of the net from close range. 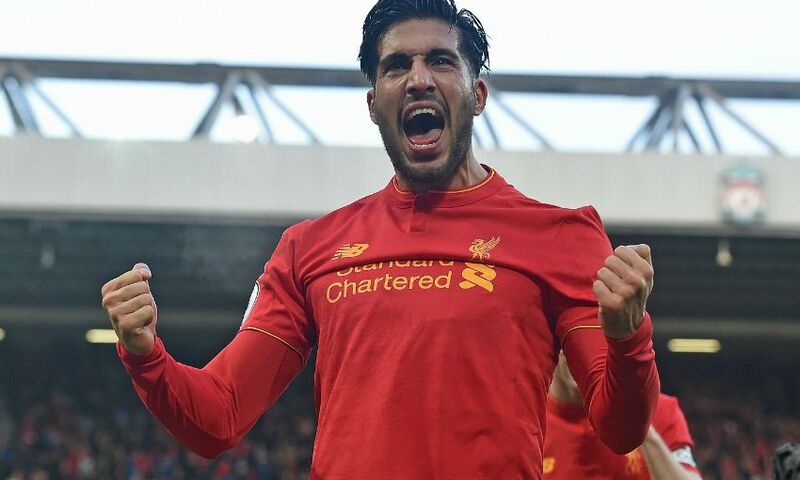 And Emre Can’s precise long-range drive secured the three points for Liverpool just after the hour when he slotted into the bottom corner from 20 yards. Barnes put visitors into early lead. Wijnaldum levelled with last kick of first half. Can fires Reds ahead with low drive from distance. Reds remain fourth, a point behind Man City and five ahead of Arsenal. Liverpool made one change to the side deployed against Arsenal last time out, with Divock Origi replacing the injured Roberto Firmino in attack. Meanwhile, Dejan Lovren was ruled out due to a back injury sustained in a collision in training on Saturday, while Harry Wilson was named on the bench. In the build-up to the contest, Liverpool had made clear their intention to build on last weekend’s victory over Arsenal and prove they’d put a recent run of indifferent form behind them as they looked to bolster their top-four push. However, it was Burnley who began the brighter – and after a George Boyd volley had whistled wide of the post and Andre Gray caused problems with a couple of runs in behind, they took the lead with just seven minutes on the clock. Lowton’s low diagonal ball into the Reds box bypassed Joel Matip and Ragnar Klavan and allowed Barnes to slide in to steer beyond Mignolet from 12 yards. Liverpool looked to muster a response, but a succession of corners failed to trouble Tom Heaton, while Gray struck over the bar from a tight angle at the other end for the Clarets after spinning into space. Indeed, the hosts first effort of note did not arrive until the 38th minute when James Milner laid a free-kick short to Wijnaldum, who struck over the bar left-footed. The Reds had dominated possession since falling behind – and their efforts were finally rewarded on the stroke of half-time. Origi’s cross from the left dropped invitingly for Wijnaldum six yards out and he kept his composure to steer the ball beyond Heaton and ensure the teams went into the break on level terms. Wijnaldum’s strike meant Liverpool were able to approach the second period with a much more positive outlook as they attempted to edge their way in front – and they set about forcing their opponents back from the off. Shortly before the hour, Jürgen Klopp elected to bring on Ben Woodburn in place of Philippe Coutinho – and within seconds the home team were ahead courtesy of another midfielder. Collecting the ball 25 yards from goal, Can took a touch before zipping a low effort right into the bottom corner beyond the reach of Heaton and put the Reds 2-1 ahead. Liverpool were by now offering more going forward, but Burnley retained a threat and Robbie Brady almost caused a scare when a half-cleared free-kick dropped for him on the corner of the area, but he sliced well wide. With the game edging towards its conclusion, Lucas Leiva replaced Origi to provide more midfield cover – and only a fine fingertip save from Heaton prevented Sadio Mane from adding a third as he hooked Can’s pass towards goal inside the box. In stoppage time, a long throw into the Reds’ box eventually fell for Brady in a dangerous area, but the hosts were grateful to see him skew over the crossbar under pressure from Klavan.